Now is an ideal time to take a fresh look at all aspects of your business. A thorough spring clean of premises and making preparations for the new financial year can prove worthwhile. Take control of the business matters which you can, while Brexit uncertainties rumble on. Some key legislative changes come in to force in April. These include Making Tax Digital (MTD), increases to the National Minimum Wage, and payroll and pension contribution changes. Businesses do need to act before April to ensure everything is in place for MTD – by creating a new Business Tax Account (separate to your Government Gateway) with HMRC. Check out advice at www.gov.uk/guidance/sign-up-for-making-tax-digital-for-vat or speak to your accountant and business adviser. The gov.uk website has information for all businesses, SMEs, sole traders and the self employed to help prepare for impending new laws. There are useful calculator tools to ensure you pay employees the correct amount from April. 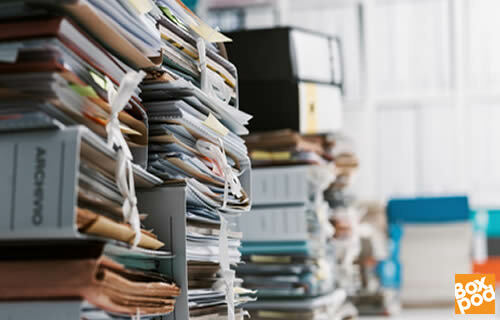 Make the most of advances in technology and communications to improve the way you handle paperwork, invoices and expenses. There are tools, apps and software to ease the burdens. Fit figures mean a healthy business. With the financials, paperwork and cloud-based accounts under control, move on to take a look at the physical workspace. Decluttering is very a la mode in 2019 with a host of gurus on social media to show you how and why less clutter can boost productivity and happiness. As the season changes, it is a good time to take a look around and see how enhancements to the workplace can be beneficial. More natural light, fresh plants, a thorough clean, fresh coat of paint or new furniture or signage can all make a difference – for employees and customers. Recycle, upcycle, sort and store or bin it – a thorough spring clean throughout all aspects of your business is worthwhile. Take time to assess your business premises – if it’s time for a change, find workspace to rent on Boxpod.